Pysanky. The Most Beautiful Eggs in the World! Pysanky, Ukrainian Easter eggs (Pysanka is the singular form), are renowned around the world as one of the iconic images heralding spring. Dating back to early Slavic cultures, perhaps even paleolithic times, many of the design motifs harken from pre-Christian times. The pioneer settlement of western North Dakota included people from Ukraine. The result was a culture rich in ethnic traditions which became an important part of the badlands and grasslands cultural landscape. The North Dakota Ukrainian Dance Association (NDUDA) is a non-profit organization which has been in existence for over 14 years. The NDUDA organizes cultural events, including Badlands Ukrainian Days in Belfield. The festival is billed as A fun-filled and family-friendly Ukrainian experience featuring all the best of North Dakota’s Ukrainian heritage including Ukrainian dance! Food. Drink. Music. Entertainment. Their Facebook page North Dakota Ukrainian Dance Association & Ukrainian Dancers Stepovi contains more information about that festival. Many other events are also highlighted, including their annual two week summer youth camp. Another important and very active Ukrainian organization is the Ukrainian Cultural Institute in Dickinson, North Dakota. It was established in 1980 for the purpose of establishing a Ukrainian Cultural Institute which is dedicated for the furthering of education through the preserving, promoting, and displaying of the Ukrainian Culture. Popular events sponsored by the UCI include it’s popular Friday Lenten Lunches, Pysanky Workshops, and the annual North Dakota Ukrainian Festival. More information can be found on their Facebook page. The Ukrainian American Community Center in Minneapolis, Minnesota is also very active Ukrainian cultural organization in the upper midwest. Check out their excellent Facebook page. By definition, Pysanka refers to an egg made by the ‘written-wax batik method’ that incorporates folk motifs and designs. It’s a form of wax-resist egg decoration. Although there are many tales and superstitions associated by some with Pysanky eggs, they are most often made to be given to family members and respected outsiders as a symbolic gift of life. Traditionally, the eggs were brought to church on Easter Sunday to be blessed. Then, they were given away with wishes for protection, fertility, or love. The decoration of Pysanky eggs is a folk art, and a fine art. Designs are a combination of motifs and colors; those of traditional folk Pysanka, have deep, symbolic meaning. There are many types and categories of these eggs. The websites www.pysanky.info and www.wikipedia.org present extensive information in that regard. The world’s largest Pysanka egg is located in Vegreville, Alberta, Canada. Thanks to Kate from the Ukrainian Cultural Institute in Dickinson, North Dakota for this heartwarming poem! We recommend connecting with the Ukrainian Cultural Institute and the North Dakota Ukrainian Dance Association for more information about the Ukrainian culture and traditions of western North Dakota. See Pysanka eggs from 26 regions of Ukraine here: These Eggs Are Beautiful! For information about local events, go here: Things To Do! Join us as we explore, and experience with us the Beauty of the Badlands and Grasslands of western North Dakota and eastern Montana! 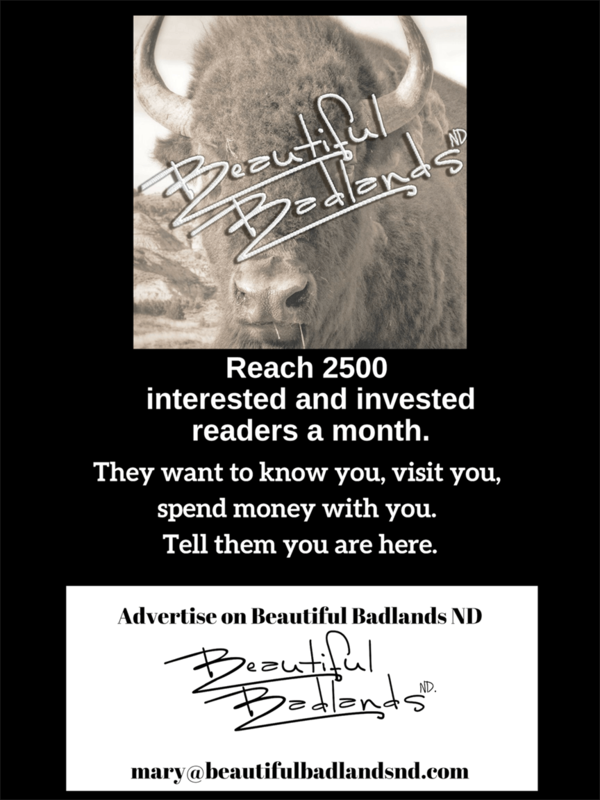 Click here: Let’s Explore the Beautiful Badlands and Grasslands! And don’t forget to sign up for our newsletter and blog, in the upper right hand corner of this page.